Workplace positivity expert Shola Richards (Making Work Work) explores a radical new concept for rethinking our personal, professional, and social lives: togetherness. The illusion that we are separate from each other, more different than similar, is eroding our ability to work, live, and lead effectively. What if we all focused on the powerful idea of ubuntu instead? This Zulu philosophy embraces the belief that we are universally connected to each otherand Shola Richards suggests it could transform the way we treat others, making us kinder and more respectful to others, on and off the job. Without ubuntu, he argues, we cannot truly live a productive and satisfying life. 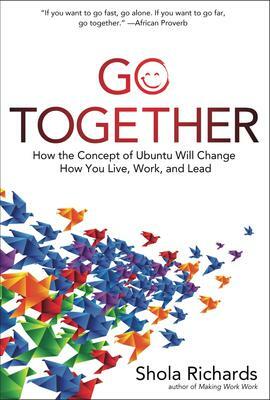 Go Together is a thought-provoking read that could change our own behavior . . . and the world around us.